South Africa based mobile telecommunications major; MTN has sealed deal with Oracle Cloud Applications to drive one of the largest digital transformations in the global telecom industry across all its core business operations. The implementation is expected to help MTN drive efficiency, scale operations and integration across its local and regional operations. The Oracle suite of cloud applications will also help MTN improve working capital through efficiencies in inventory management and reduce obsolescence. The implementation will drive further productivity through automation, self-service, IoT and mobile application capabilities; besides also enhancing management visibility across all business operations for real time performance measurement. 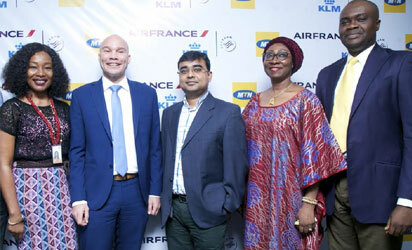 Under this initiative, MTN would implement Oracle Enterprise Resource Planning (ERP); Supply Chain Management, SCM, Enterprise Performance Management, EPM, Customer Experience, CX, Platform as a Service , PaaS, and Oracle Service Cloud solutions.